On December 8, Universal Studios announced Warwick Davis (Prof. Flitwick and Griphook) and Matthew Lewis (Neville Longbottom) as special guests for the 2017 Harry Potter Celebration. Universal Studios says additional stars will be announced at a later date. In addition to cast Q&A sessions, guests can take part in panels and demonstrations including the sorting hat ceremony, wand combat demonstration, ‘Fantastic Beasts’ virtual-reality experience and more. This special 3-day event is has been held annually at the Wizarding World of Harry Potter at Universal Studios Florida since 2014. Universal offers three packages at different price points for the event. Information on packages can be found by following this link. Although only 8 months old, Universal Studios Hollywood dropped the 3D effect on its Forbidden Journey ride last weekend. Many riders complained of motion sickness caused by the 3D effect combined with the motion of the ride car. Last week we told you about the new Fantastic Beasts And Where To Find Them exhibit now on display at the House of MinaLima. For fans located outside the UK, visiting the house is tricky, if not impossible. After all, apparating over long distances is dangerous! However, graphic designers Miraphora Mina and Eduardo Lima heard our cry & developed a 360° virtual tour in response. Now you can walk through each display anytime from anywhere; it’s magic! Follow this link to experience it now. With the end of 2016 only 24 days away, Amazon announced its list of top selling books for 2016 and ‘Cursed Child’ is number one. ‘Cursed Child’ also topped the charts of Amazon’s 2016 Top-Selling Kids & Teens Book, 2016 Most Wished for Book and 2016’s Most Gifted Book list. Click this link to see the full list. JK Rowling annotated a first-edition copy of Harry Potter and the Philosopher’s Stone in 2013. Starting December 8th, that copy will be on display at the Edinburgh’s Writers’ Museum in Edinburgh. The copy is filled with anecdotes and illustrations by the famous author. 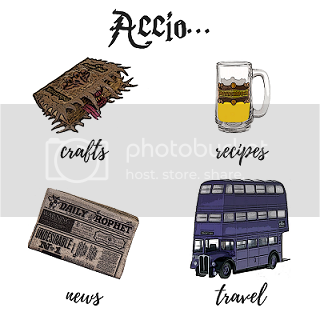 The origins of Quidditch, the original mascot for the Hufflepuff house, a drawing of baby Harry, it’s all there and more. We’d love to hear from you! Get in touch with us on Facebook, Instagram, and Twitter or in the comments below.